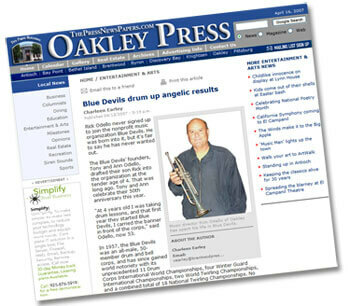 Blue Devils B & C director Rick Odello was recently profiled by the Oakley Press as the Blue Devils celebrate their 50th anniversary this season. Odello, whose parents Tony and Ann founded the organization, has been involved with the Blue Devils since he was four-years-old. Read the article on www.oakleypress.com.